What is a Pedicab & What is like to ride in a Pedicab ? Pedicabs are environmentally friendly tricycles powered by the driver's legs. Riding a Pedicab in Central Park is the most unique and memorable sightseeing experience things to do in NYC. Do I have to make reservation or can I buy ticket on location? • Advance booking is required, and you can Reserve Online 24/7 or over the phone, major credit cards accepted. Booking in advance its highly recommended as the cost is up to 25-50% less than the walk-in prices. Customers will receive a full refund with at least 24 hours notice of cancellation. Do we have to bring a printed or some form of proof that we paid for the Tour? No, it's not necessary to bring a printed receipt, once you completed the Online Reservation, we will have all your information in our system. Pedicab/Rickshaw tours do go out in all types of weather and in fact you can get some great photos in inclement weather, specially if snows. In the event of severe or unsafe weather conditions, the Pedicab Tour will be canceled for safety reasons and you will be allowed to reschedule to another day and time or a full refund will be issued. Now, if you wish to cancel because of bad weather just notified us in advance. Full refund will be issue. How many people can travel in a single Pedicab? A single Pedicab in NYC has a limit to carry a maximum of three (3) Adults passengers. We are 6 adults how many pedicabs do we need? There will be 2 to 3 pedicabs available for your party. Until what age do you consider 'kids' for a Pedicab Tour? Good question, we consider kids Bet. 5 to 12 years of age, therefore if your kids are older than 12 years, the payment will be as the adults rate or pricing. How long are the tour Options and where it goes? The 1hr Pedicab Rickshaw tour covers the south end of Central Park from 59th St to 72nd St.
We have 2 to 3 short stops at the main features of Central Park, the stops are just for short walks, stretching, and having your pictures taken, you will be on the pedicab most of the time for a comfort. 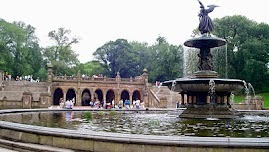 The Bethesda Fountain and Terrace, Cherry Hill Fountain a.k.a "The Friends Fountain', The Bow Bridge, The Lake, Strawberry Fields John Lennon's memorial, The Dakota Building. 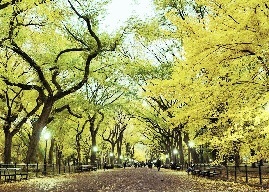 The 2hrs Pedicab Rickshaw tour covers Central Park from 59th St to 90th St, the tours is well designed to capture all the major features of Central Park, this tour has several stops, all stops are optional but others are suggested. The Bethesda Fountain and Terrace, Cherry Hill Fountain a.k.a 'The Friend Fountain', The Bow Bridge, The Lake, John Lennon's Strawberry Fields Memorial, The Dakota Building, The Ladies Pavilion, Alice in Wonderland, The Boat Pond, Hans Christian Andersen, The Dairy, Shakespeare Gardens, Turtle Pond, The Great Lawn, The Belvedere Castle, Jacqueline Kennedy Reservoir, The Swedish Cottage, The Oak Bridge. The 3hrs Pedicab Rickshaw tour cover the entire park, it goes from Central Park South -59th St to 110th Street. The Bethesda Terrace and Fountain, Alice in Wonderland and Hans Christian Andersen, The Obelisk, The Dairy, John Lennon's Strawberry Field - IMAGINE mosaic, The Dakota Building, Cherry Hill Fountain-a.k.a (The Friends Fountain), The Lake, The Bow Bridge, Ladies Pavilion, The Oak Bridge, The Belvedere Castle, Shakespeare Gardens, Turtle Pond, Delacorte Theater, The Jacqueline Kennedy Reservoir, The Great Lawn, The Conservatory Gardens (Italian, English, and French), The Harlem Meer, The North Woods, The Ravine, The Loch, Waterfalls, and much more. All stops are optional, some of them suggested, but in the end you will choose! 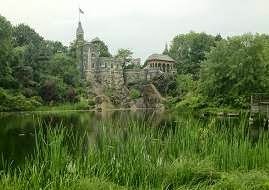 Can I customize my tour, let’s say for example, I just want see The Belvedere Castle? Totally, we go straight ahead. Can We have a Pedicab Tour early morning like 7 AM or 8 AM? or call us at +1 (917) 405-1303 Thanks. Can I customize my tour, let’s say for example, I'd like to finished my tour in either these two museums Metropolitan Museum of Art y/o Museum of Natural History? Yes, we still show you the park and finishing the tour at the Museum of your choice. Are Pedicab pick ups available? We want to take a pedicab from our hotel. How much does it cost a pick up? (58th St at 5 Ave) Please give that instruction at the time of your booking. For any pick ups farther than 5 blocks up to 15 blocks the cost is $ 25 per pedicab. Please give instructions at the time of your booking, email us or call us. Thanks. I'm staying at The New York Hilton Midtown on 1335 6th Ave, can I be pick up here? Yes, and it's free of charge and we also offer free of charge pick ups from all these following hotels. The Plaza Hotel, The Plaza Athena Hotel, The Sherry-Netherland, The Quin, The Ritz-Carlton Central Park South, Free pick up at The Hilton Hotel 6th ave, The Peninsula New York, Salisbury Hotel 57th St, Four Seasons Hotel New York 57th St, Park Central Hotel, Wellington Hotel, The Trump International & Tower Columbus Circle, Le Park Meridian, 1 Hotel Central Park, The Warwick, The London NYC, Free Pedicab Pick up services at The St. Regis New York, Free Pick up Mandarin Oriental New York, The Park Lane Hotel, The Pierre, The Carlyle Hotel, JW Marriott Essex House, Baccarat Hotel, and The Marriott Broadway on 54th St. Does #CentralParkPedicabs offer pick up's at nearby Restaurants from Central Park? 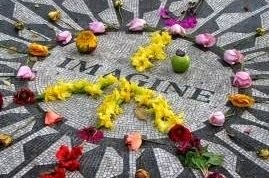 Yes, we have a list of our favorites restaurants for a Free pick up's, just call us or text with the time, number of people, and tell us if you are interested in the 1hr, 2hr or 3hrs Central Park Tour, from that moment we'll be glad to send you our pedicab/s, just Schedule it, for last-minutes give us 15-30 minutes, if is not 5 minutes for the Pedicab tour or Pedicab ride Pick up. I'd like to know how about Pedicab rates or prices on the streets of New York City? We are glad that you ask about the Pedicab Rates on the streets, Pedicab on the streets charge on a Minute Basis, the price ranges from $ 3 to $ 7 per minute, per pedicab. Be aware that the pedicab drivers are free to set their own prices which is legal, but they need to disclose their prices to customers by Law. Info. 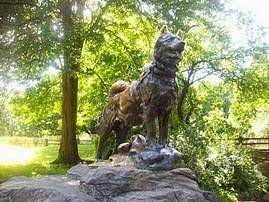 provided by Central Park Tours, NYC Central Park Tours by Pedicabs, since 2007. Do you provide blankets in a cold or chilly weather? Yes, we have blankets available in each pedicab. What are the best places to stop for families with children? 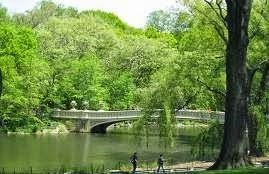 We highly recommend to stop at Alice in Wonderland, The Ugly Duckling- Hans Christian Andersen, The Boat Pond, The Belvedere Castle, The Bethesda Fountain, Balto the hero sled dog, and for the youngest the central park Carousel and the Central Park Children Zoo. Can I have a Pedicab Tour anywhere in NYC? we can always customize our tours according what you want to see the most, customized tour plan makes your trip much more relaxing, call or email us, so the tour guide can work in the best itinerary for your journey. Just keep in mind that we work on an hourly basis. Lets experience and explore by Pedicab Tours in Approx 3hrs, The East Village, Greenwich village, Soho, Little Italy, and Chinatown. And reach Wall St 'The Financial District' in a total of 4hrs in a round trip guided Pedicab Rickshaw Tours. Do I have Discount for a big Family or Large Group? Yes, we have discount for big families or big group more than 12+ people. Please contact us at +1 (917) 405-1303 or E-mail us at 212bike@gmail.com, Thanks. Do you speak Spanish? Hablam español ? Yes, we do have a License tour guides in Spanish. Can the driver take me my picture? Sure, we have a paparazzi photographer experience, you’ll like it. Are the Tips included in the Price? No, any tips will be greatly appreciated by your Tour Guide or Pedicab Driver.